Angelina Jolie may have some competition from a beautiful young blonde. Or Brad Pitt might have a daughter. While that sounds like the usual tabloid life, it is a bit more innocent as Gossip Girl star Blake Lively has admitted she would like Brad Pitt to play her on-screen dad in the show. Jennifer Aniston, who is preparing for her latest role as a stalker on US comedy series 30 Rock, has attracted a lot of attention on the “30 Rock” set when the actress filmed a guest appearance as a crazed stalker for NBC’s hit show. Jennifer Aniston will guest star on an episode of 30 Rock this season, according to her publicist confirmation. It will be the actress’ first appearance on an NBC sitcom since Friends went off the air in 2004. 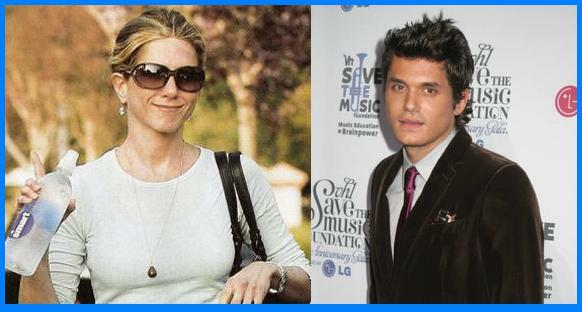 Jennifer Aniston and John Mayer are set to get matching tattoos.